Right behind the Fox Sparrows and Juncos, the Song Sparrow makes an appearance. They have a pretty little song, and in my opinion, a good name! The Song Sparrow has a highly variable song that depends on their location – they have different dialects, just like people. A Song Sparrow who makes it’s home in southern Minnesota sounds completely different than the ones up here in Crane Lake. One sure thing is though, the song always starts with 3 leading notes. It then goes into a jumble that sounds somewhat like: maids, maids, maids, put on your tea kettle, lettle, lettle! Song Sparrows are common in Crane Lake in the summer. They stay here to nest and they can have up to 3 broods per summer. 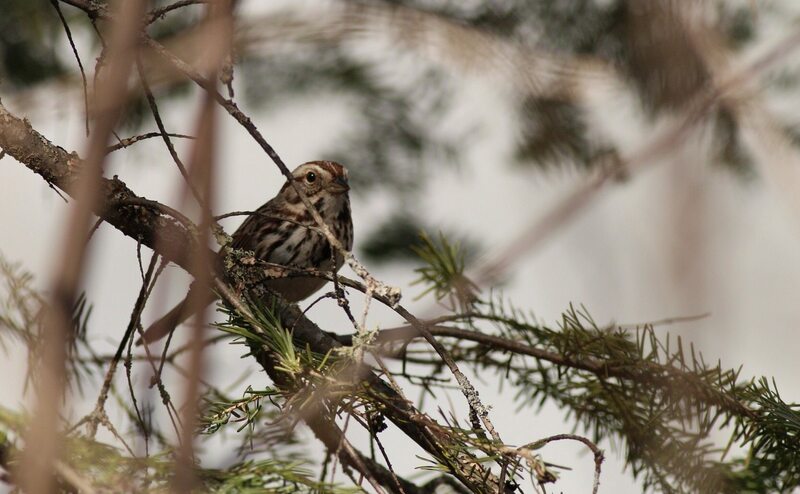 These vocal little Sparrows can be found along the shoreline throughout Voyageurs National Park.